Whether you’re heading to one of the best breakfast spots in Boulder City, NV or toting your family around Las Vegas or Pahrump, a used Toyota RAV4 from Findlay Toyota can get you there comfortably and safely. You can even find features like Toyota Entune™ and Toyota Safety Sense™ P (TSS-P) on a late-model used Toyota RAV4. Henderson, NV shoppers can find out which RAV4 is right for them by stopping by our dealership for a test drive! Get a Deal on a Pre-Owned Toyota RAV4 Near Boulder City! 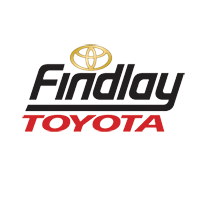 The staff at Findlay Toyota is here to help you find the right car for your budget and needs near Moapa, and we offer a variety of affordable and dependable certified pre-owned vehicles near Las Vegas. We also have a certified Toyota service center where you can get everything from oil and filter changes to major powertrain repairs. We’re even here to answer all your Toyota questions, including how to set up Toyota Entune™ App Suite and how to use Toyota Safety Connect. Make the trip from Mesquite to find your used Toyota RAV4 for sale!